The #1 REA Werning purebred bull from their record sale! Maternally, his legendary donor dam, producing over $1.2 million dollars in progeny sales adds considerable value to his genetic predictability. 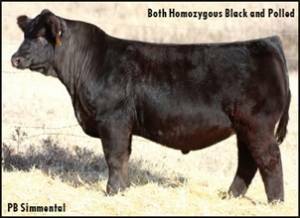 Improve phenotype and maternal power with this powerful and predictable sire!